THE wind over the past three or more weeks has certainly prevented many from sticking their nose out the front. Although these past couple of days the bigger boats would've been able to venture out. In close the fishing has been a bit hit and miss with the strong winds shutting down various areas. I see in Tuesday's The Observer that Josh Muckert was certainly wired into the grunter. 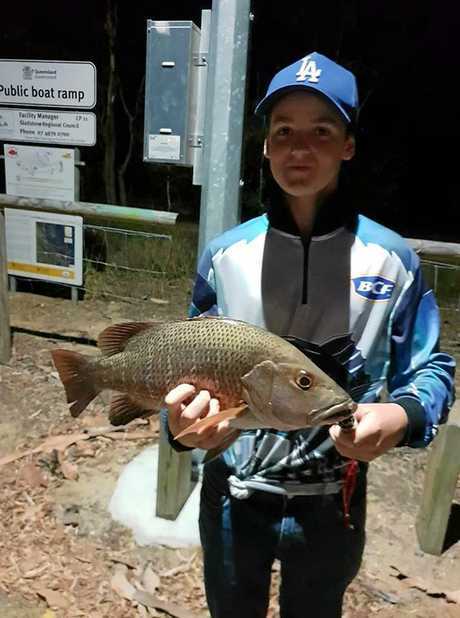 He boated five decent specimens and young Charlotte holding Cameron Gillet's Boyne River barra for him is pretty cute. Cameron is a new dad since Wednesday morning celebrating the arrival of his daughter Lucy into the world. I wonder if she'll be another good angler like her dad? Talking about young things there are now some tiny barra fry sneaking along the shoreline in Auckland Creek. Tiny as they are they will grow at a very fast rate of a millimetre a day! The low pressure system to the north being ex-Tropical Cyclone Penny has certainly revved up the region as far as activity goes. The rain and low air pressure will also add to the lunar cycle we are just moving into being the first quarter. This should really fire the whole region up with creek flows increasing, more fresh running into the likes of Awoonga, flushing out some of the smaller drains and pushing those muddies out into the open. There are a lot of jelly prawns in the bigger systems at the moment such as Baffle and Colosseum so matching the bait isn't going to be easy. 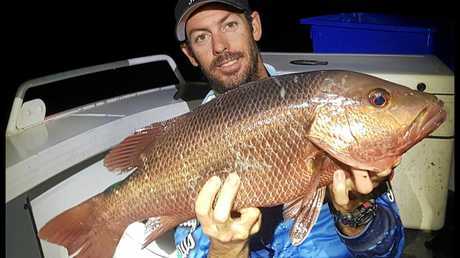 Looking at the species that have been caught this past week or so the mangrove jack are certainly worthy of note. 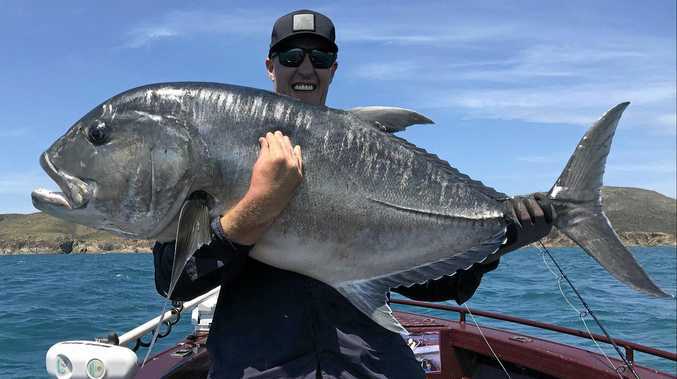 Young Caleb Fagg and his 45cm specimen and Kayak Fish 1770 shared a picture of Scott Hornby with another solid jack on Facebook. 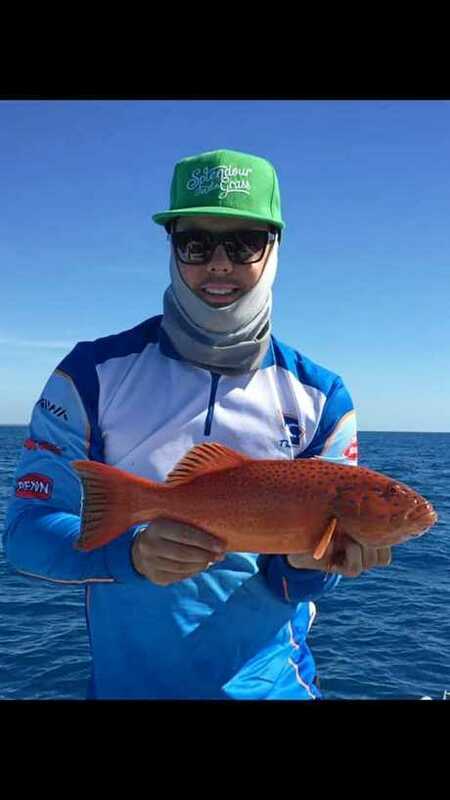 The picture of Cameron Wex with his legal 40cm coral trout is pretty cool because not only is that size the best eating fish in the ocean but catching it beside Facing Island demonstrates how good this region is. The whole harbour is so diverse with dirty estuarine water one side of a bay and soft corals on the other. Then we have coral species inside the harbour, juvenile red emperor being caught inside the marina, fingermark - with the power of a fish twice its size - in behind Tide Island and on every gravel bank in the harbour and in the rivers and creeks we have this underrated species called grunter or javelin fish. These are such a great table fish either pan fried in some butter, Japanese crumbed or make up a lovely smooth beer batter. Outside the harbour and all along our coast from Baffle Creek on the Discovery Coast through to Cape Capricorn we have pelagics to die for. There are huge GTs, spanish mackerel, massive queenfish, long tail tuna, bill fish at certain times of the year, cobia or black king, and various other species of mackerel and tuna. Find them and get your mates up for a fish.